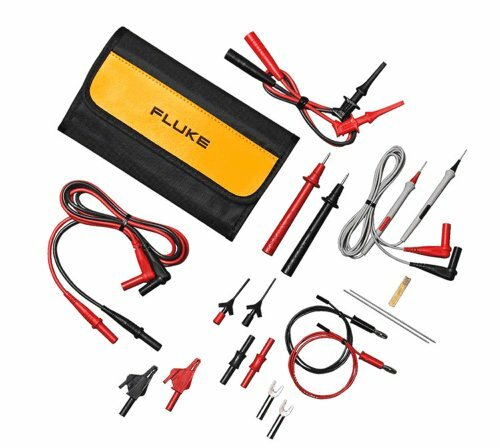 This Fluke is the perfect test lead kit for todays electronics tests and designs. The kit includes precision electronic probes with multiple spring-loaded sharp tips to maximize contact with SMD test points. The kits also includes micro-grabbers and leads to enable fine SMD tests along with mini alligator clips, grabbers, and probes for virtually every electronics need. Fluke Corporation is the world leader in the manufacture, distribution and service of electronic test tools and software. From industrial electronic installation, maintenance and service, to calibration and quality control, Fluke tools help keep business and industry around the globe up and running. If you have any questions about this product by Fluke, contact us by completing and submitting the form below. If you are looking for a specif part number, please include it with your message.